Duration: 7 DAYS, Max Altitude: 3,800M, Best Time: February – June, Sept – Dec. 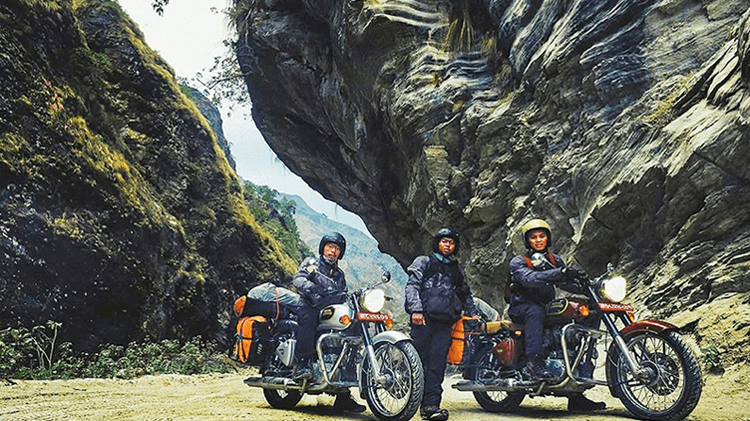 Experience the thrilling Motorbike ride to jomsom town located at Mustang District of Nepal. landscapes including the world’s deepest gorge of the Kali Gandaki River. experience the real life of people from Mountains with the off road adventure in Nepal. Observation of local culture, people (Gurung, thakalis) & village. 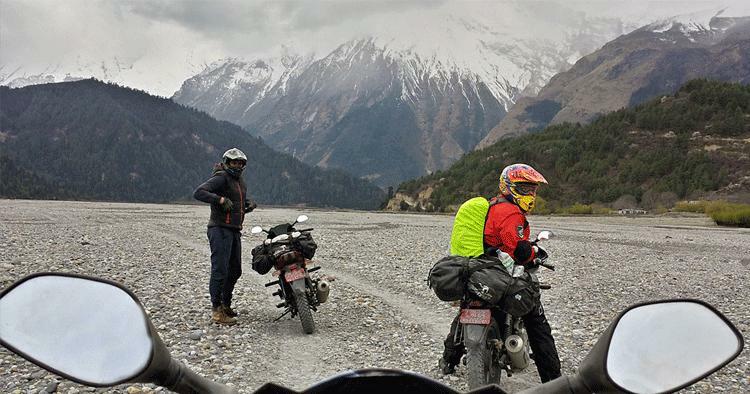 Off-road ride through the world deepest gorge Kali Gandaki Gorge. Spectacular view of Dhaulagiri and the Annapurna range. Gomba Samba ( A Famous monastery situated near entrance gate of Muktinath temple. You will arrive in Kathmandu at the Tribhuvan International Airport (KTM) and you will meet the airport representative. Ride to Kalopani (110km). 65km black topped. 45km dirt road. Great Mountain views. Ride to Muktinath (3800m) with lunch stop at Jomsom 2680m. 68km. 100% Dirt road. Explore Marpha first half of the day. After lunch ride down to Tatopani and enjoy the natural hotspring. Day 05: Ride to Pokhara. (91km). Day 07: Fare well, Transfer to International Airport departure from Nepal. please consult your doctor about your health condition and also send us a copy of insurance. license from your country or international driving license, both works here. We suggest to bring your own complete motorcycle gear (helmet, boots, gloves, suit incl. Please follow the tour leader’s instructions during the trip. Required documents: We required 4 pp size photographs of each riders for ACAP / TIMS card . Group: For this trip Minimum 2 riders is required. 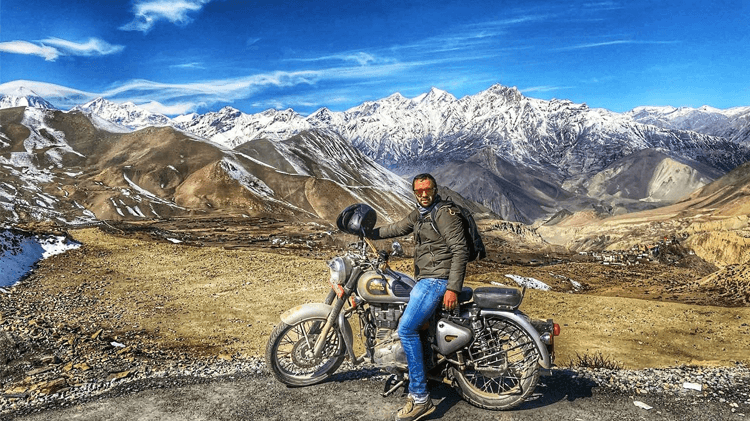 We can also organize this Jomsom-Muktinath motorbike trip for one person. Note: Trip Itinerary can be changed according to your request. Please write us at citymotorbike.com@gmail.com for more details.